Pose challenges, capture and evolve ideas and work collaboratively on opportunities and projects, to translate your investment in innovation into value. 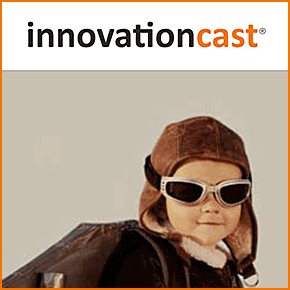 InnovationCast is designed to support your company’s engagement in innovation from beginning to end. * Innovation Challenges & Campaigns - Call for ideas. Guide idea submission. * Idea Management - Capture, evolve and assess ideas. * Innovation Opportunities - Distill ideas and explore their potential. * Innovation Projects - Plan, manage, collaborate and deliver. * Recognition & Rewards - Know and reward those who make a difference. * Innovation Analytics - Actionable information to fine-tune innovation.